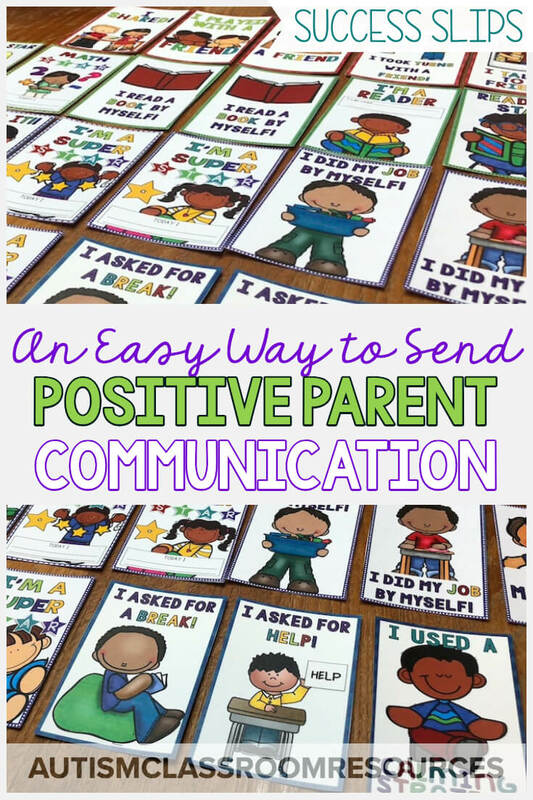 Are you looking for ways to promote positive parent communication? You teach students whose progress isn’t always as fast as you would like. You find it hard to send home positive notes everyday when the student has been working on the same skill all year. You feel like the parent communication system and progress notes just emphasize how slow that progress is. And you want to celebrate the little wins that are so important for our students. 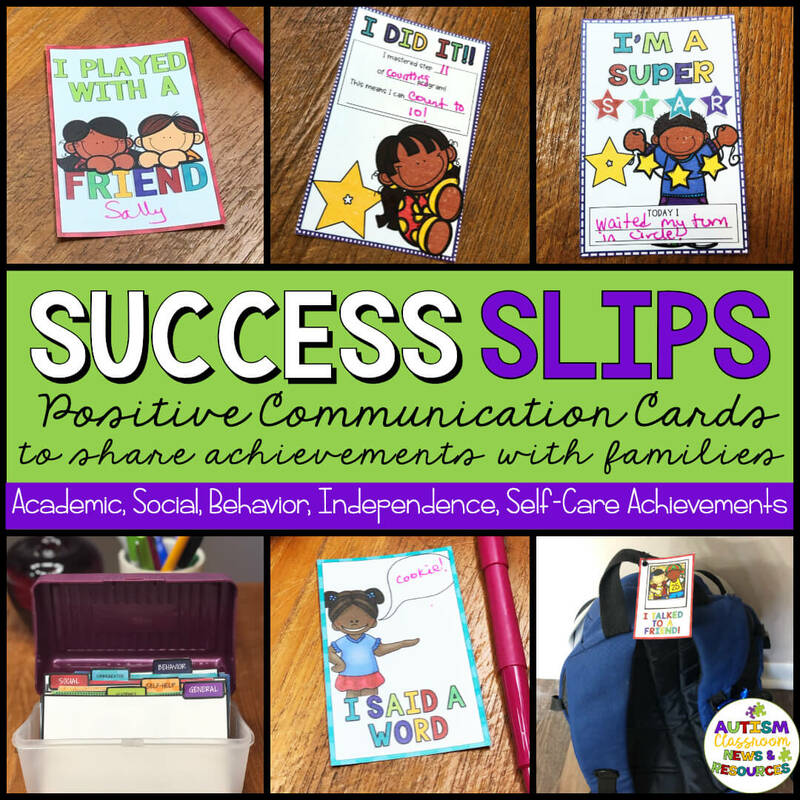 Success Slips may be just what you need to send home positive parent communication easily and quickly. 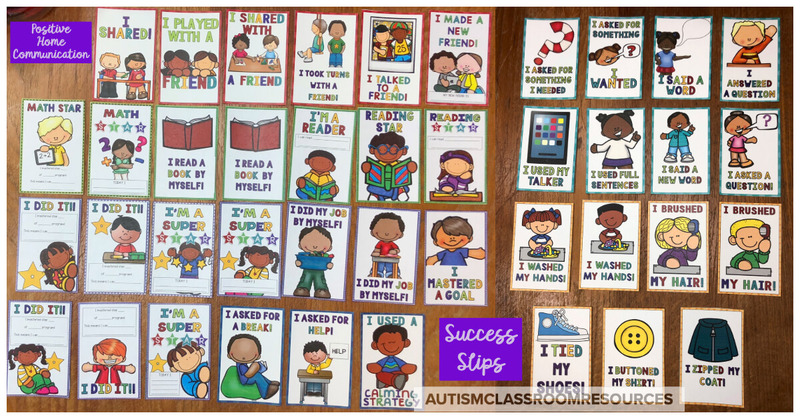 Success Slips are printable slips that celebrate gains our students have made within their programs. 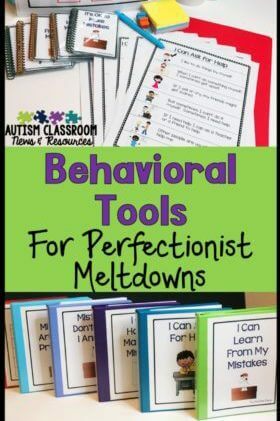 They are bright, engaging notes that can be put in a home-school notebook or even attached to a backpack to make sure to get parents’ attention. You can add a word or two to them and send them home, so they are very low prep. Just print, cut and go because they already have the message you want to send on them. What Are Success Slips For? Success Slips can be printed as they are and cut apart. (I like to print them on card stocks so they are sturdy). 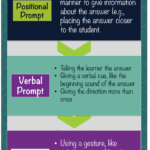 Then choose the one that matches your need and send it home in the student’s notebook or attach it to his or her backpack to make sure the parents see it. You can choose to write a note on them, write in what skill or step was mastered, or just send them as-is. They can even be printed in different sizes as well to suit your needs. Want to attach it to a backpack? Print them small. Want to write a note on the back, print it larger. (There is a video tutorial on how to print them in different sizes included with the set). 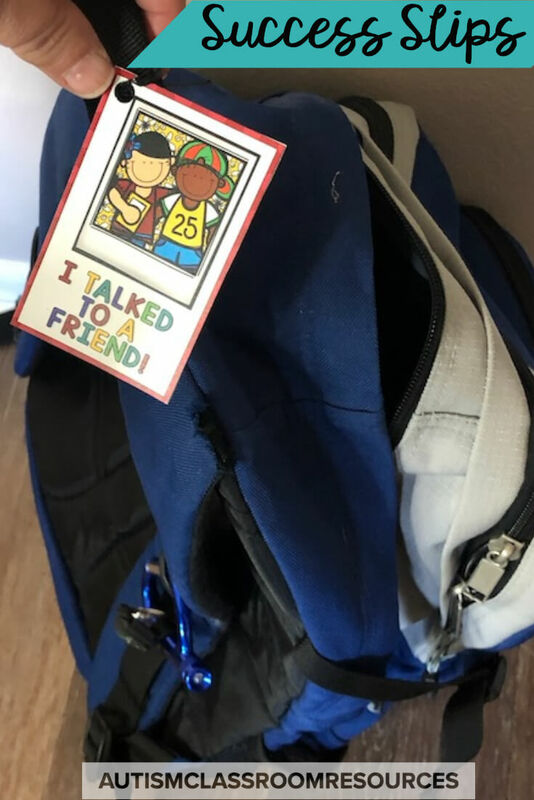 If you want to attach it to the student’s backpack, just cut a hole in the top and use a zip tie, garbage bag twisty tie or something similar to attach it where the parents will see it. When Should I Send Them Home? I designed them specifically to celebrate smaller milestones like mastering a step in a teaching program. So many of our students struggle to get to mastery of goals or whole skills, that it seemed important to celebrate smaller steps like the step of a discrete trial program, or sharing a toy with a peer. Have a student who asked a question who usually is quiet? Send home a slip to tell his parents. Another student answered a question when you asked and that almost never happens? Send a slip to his parents to let them know. For anything from grooming to academics to early learning readiness skills, I’ve tried to create a Success Slip for it. If you have ideas for more slips that are needed, definitely drop me a line and let me know and I’ll add those to the next set. You can see all the slips in the general set in this picture. Part of making the Success Slip strategy of communication work is to have them printed and ready to go when you need them. How you store them will depend on the size you print. If you print the medium (3x4.5 inches) or small (2.25x3.5) size, it’s easy to store them in a recipe or index card file like the one below. 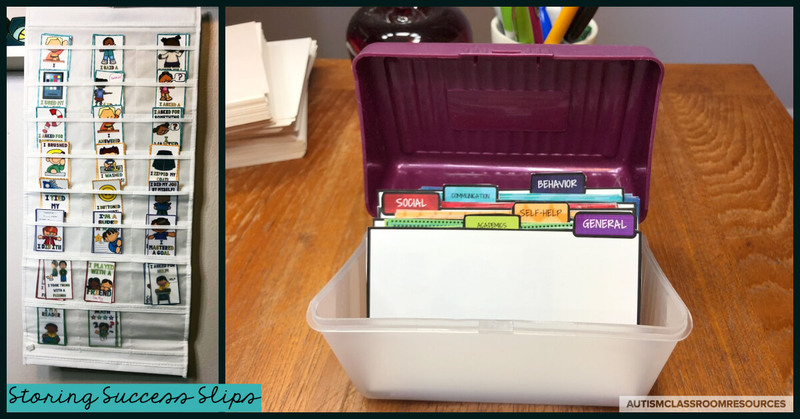 And I’ve included dividers by category to make them easy to find in a recipe file box. You can also sort the medium and small ones in a jewelry holder hanging on the wall. This is useful if you like to see all the ones that are printed. And it’s great if you don’t have a lot of shelf space. 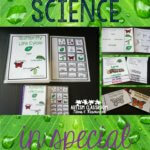 For the larger ones (5x7.5 inches), you could keep them in page protectors in a binder. Do you sometimes feel like YOU need to be reminded of the little accomplishments of our students? Here’s an idea for you. Make 2 copies of the Success Slips. When you send one home with a student, save a copy for yourself and write the student’s name and accomplishment on it. Then file it away. You can keep the completed ones in the same type of storage. Then, when you are having one of those days we all have, particularly in the dead of winter, open up that box and go through all the little accomplishments that YOU have helped your students make. And think about how they lead to big accomplishments for them and for you! 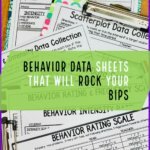 I don’t expect that Success Slips will replace other types of daily home-school communication. I think that regular parent communication is essential for building relationships with families. However, sometimes the little positive things may not get the attention they deserve in a home note. 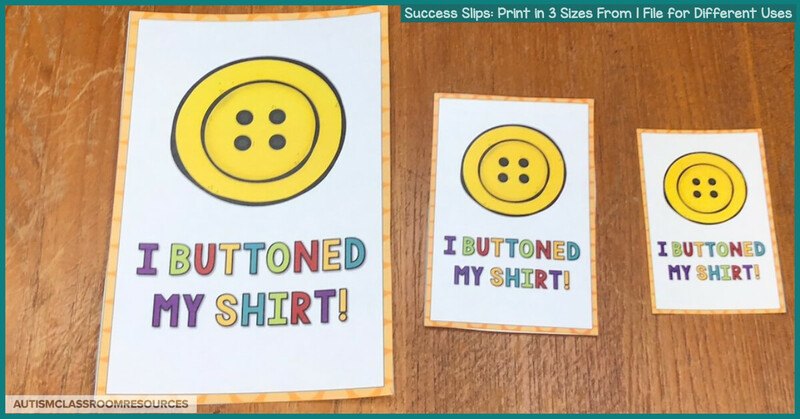 Success Slips are a way to making sure families are aware of the little things their students are making progress on toward the big things. Want to buy Success Slips? You can find them in my store here!